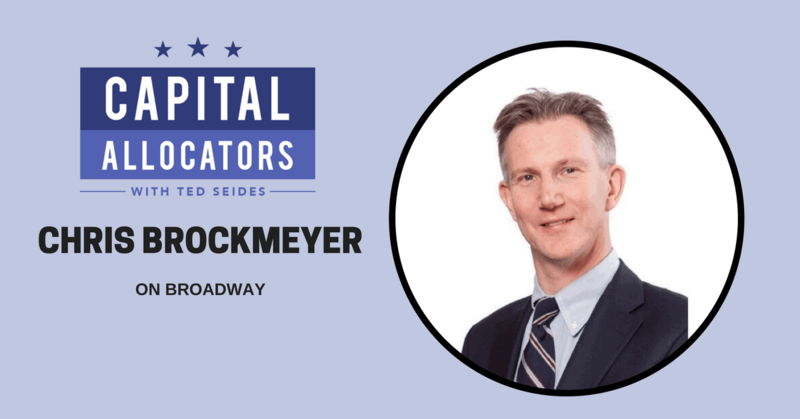 Chris Brockmeyer is the Director of Employee Benefit Funds for the Broadway League, the national trade association for the Broadway theatre industry. Chris serves as an employer-appointed trustee, and in most cases as Co-Chair, on eleven multi-employer pension funds, seven health funds and four annuity funds with approximately $7 billion in total assets. For eleven years, Chris has artfully navigated delicate relationships across unions and employers and was honored for his great work by Institutional Investor magazine with the 2014 award for Taft-Hartley Plan of the Year. Before arriving at the Broadway League in 2007, Chris worked on both sides of the table – first representing employees in eight years of work for performer’s unions and then seven years representing employers as Director of Labor Relations at Live Nation/Clear Channel Entertainment. Our conversation dives into the tricky governance dynamics of Taft Hartley boards, including their challenging regulatory structure, constituent relationships, investment objectives, strengths and weaknesses of a slow-moving decision-making body, best and worst in relationships with investment consultants, and OCIOs as a governance solution. Those struggling with governance challenges can take a step back and admire Chris’ dexterity in working productively with an ostensibly untenable set of circumstances. 10:25 – How do Chris and these various boards set out the investment objectives.